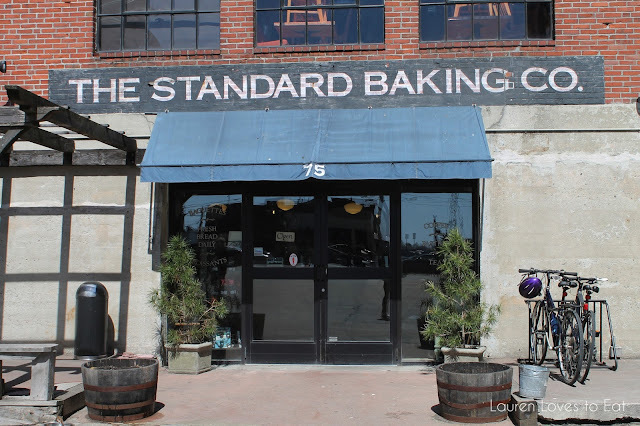 Lauren Loves to Eat: Portland, Maine: Standard Baking Co.
Portland, Maine: Standard Baking Co. Located on Commercial Street right by the Old Port, is The Standard Baking Co. 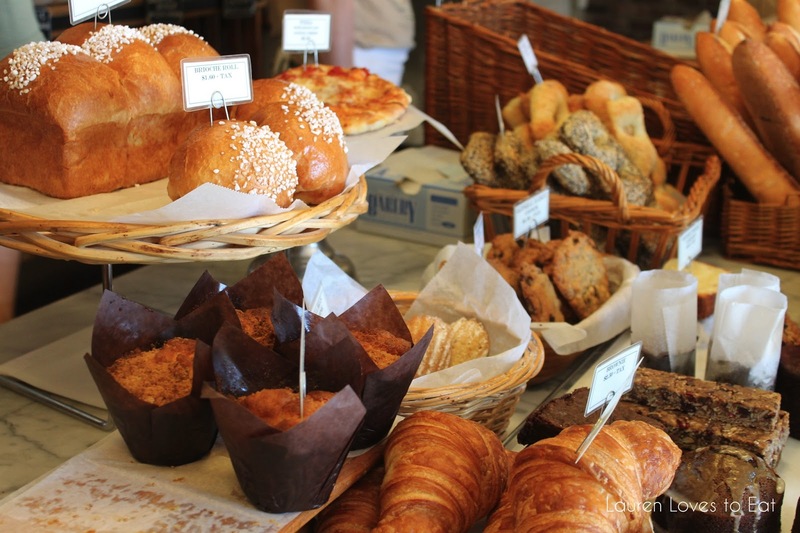 This delicious bakery offers a variety of breads, pastries, and cookies. The shop is set back off the street with a large parking lot in front, and The Hilton a few steps away. 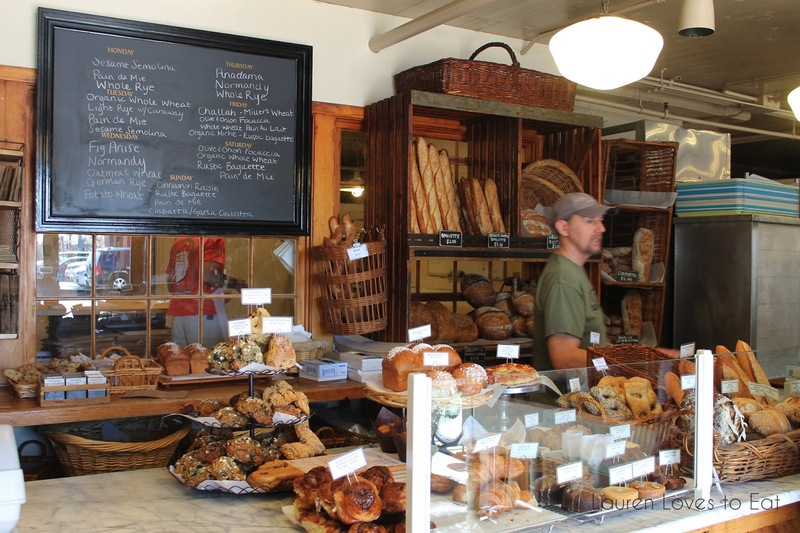 There are two tables and a few benches outdoors to the left of the bakery entrance, and no seating inside. Muffins, brioche, cookies, and baguettes! Ham and Cheese Croissant, $4.01: I've loved croissants my whole life, and have never had one quite like this. Topped with sesame seeds, this brought a whole new dynamic. 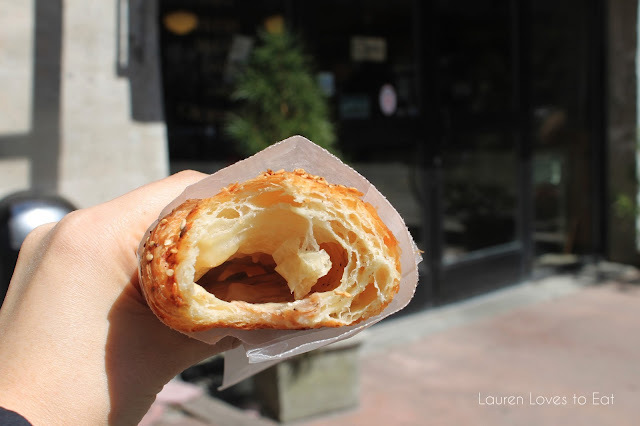 The croissant itself was buttery and flaky, with a thick layer of asiago cheese and pieces of ham on the inside. This bakery had me wishing we had stayed at The Hilton so that we could visit for a pre-breakfast, pre-lunch, or afternoon snack. So good. True, true. But being so stuffed would've been worth it!! That looks amazing Lauren. Need to visit Maine sometime.. I hear it's beautiful. I went to Portland once, but didn't really hang out and sightsee. You must go back!! 2 days was not enough for me..
OMG! That last photo is leaving me drooling. I want one.